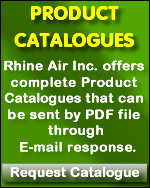 Rhine Air offers equipment and product set up recommendations to address your specific Aircraft / Rotorcraft application. Take advantage of our 30 years experience providing effective solutions for Fuel Tank Inspection and Entry. Contact us if you require a Product Catalog, Operations Manual or Federal Procurement Product Documentation and Listing. Please specify your Aircraft / Rotorcraft Model if possible.